Nonmembers can join during registration and take immediate advantage of member prices. Come to Arcadia for a morning of creativity and reconnection with yourself. Learn the rudiments of drawing, design, composition and the techniques of water-based painting on gessoed paper and canvas. Each class will include instruction, demonstrations and studio time. Cost includes all supplies and instruction for six classes. 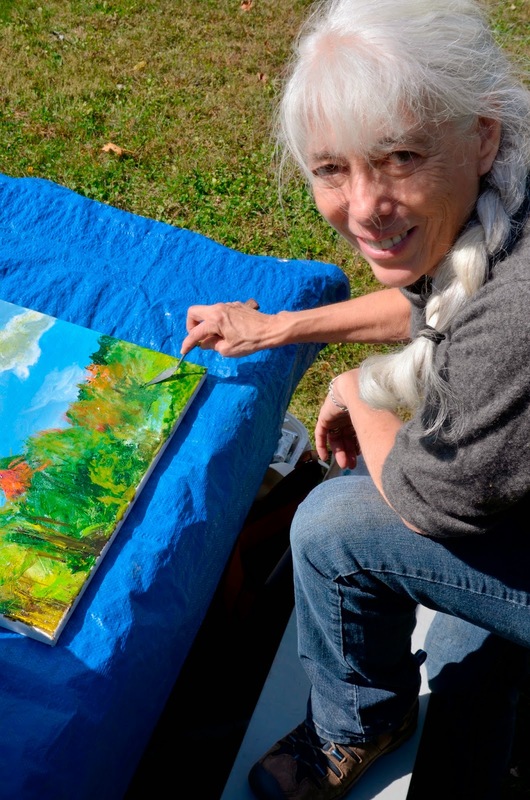 About the Instructor: Jan Ruby-Crystal has been an art educator for 36 years. During her long career as a University Professor she taught classes in 2-D design, painting, drawing, papermaking, printmaking, book arts, metal smithing and digital photography and design. Her own artwork has melded into a multi-media mix of her skills with an emphasis on imagery from nature. http://www.massaudubon.org/get-outdoors/program-catalog#program:sanctuary=14:program_code=38062 or call 413-584-3009 to register by phone.